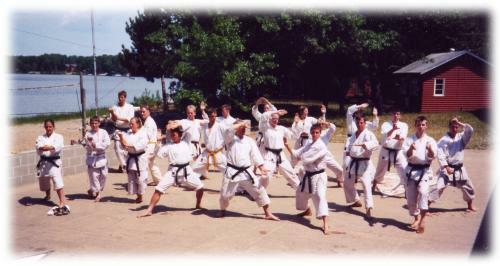 Each summer, Central Minnesota Karate sponsors summer training camps. 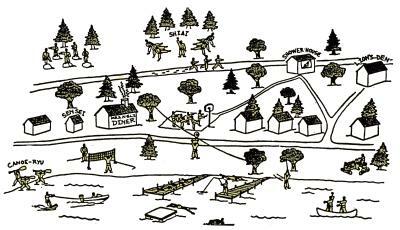 Camp is located just minutes out of Brainerd, on Whipple Lake. A complete camp facility; with cabins and mess hall. When not in training, karate-ka may take advantage of the many recreational activities available including: canoeing, swimming, volleyball, fishing, basketball, rope swing, zip line and much more. All this and it's affordable. Ask your instructor for more information on the adult and kid's summer training camps.